YAI LINK is an information and referral service that provides the latest information on programs that make a difference in the lives of people with intellectual and developmental disabilities and their families. What is the best way to contact LINK? If you want to find out more about different acronyms you will find at YAI and around the I/DD field, check out our acronym guide to learn more. What do all these different acronyms mean? There are a lot of terms that are shortened to their initials into an acronym (e.g. I/DD stands for Intellectual and/or Developmental Disability). If you want to find out more about different acronyms you will find at YAI and around the I/DD field, please check out our acronym guide to learn more. What can I expect from a call into LINK? A knowledgeable and courteous Information Specialist will gather information. To help us better serve you, please be prepared to describe the abilities and needs of the person for whom you are seeking assistance. If you have any diagnostic information or paperwork, it is good to have this on hand too. This information will help determine service needs. 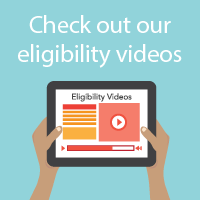 Please see our eligibility information page with questions and answers about eligibility, as well as a short survey for people just starting out. How can LINK help if someone is not eligible for services, or if a service is not available at YAI? The LINK Department maintains a vacancy database with information on recent openings in services and programs in the community and at other agencies. LINK also maintains a very large resource library which can be useful in providing additional information about programs outside of the YAI Network. Can someone from LINK do a presentation at my school or represent YAI at a community fair? What services does YAI provide? YAI is a network of agencies offering a comprehensive range of services for people with intellectual and developmental disabilities. Opportunities for living, loving, working, and learning include: school age programs, mental health and rehabilitation, family support, day services, recreation and socialization employment training and placement, primary and specialty healthcare, and residential services. For more information, visit yai.org services. Who does the YAI Network support? The YAI Network supports people of all ages with intellectual and developmental disabilities, and their families. Take a look at our Eligibility FAQ for more information. Because LINK’s Information Specialists are also attending community events, meetings, supporting groups and providing presentations, etc, it may take up to 2 business days for us to respond to your call. If it has been more than two days, please call again. Voicemail systems are not foolproof and sometimes because of poor call quality we are unable to hear/understand a message/phone number and cannot call back. Please leave a short but detailed message with your name and number stated clearly to ensure that an Information Specialist is able to reach you to answer your inquiries. Your call will be returned within 2 business days. State your name, number and county two times clearly. Briefly state the reason you are calling so a LINK Representative can gather information before calling you back.